In lieu of flowers memorial donations may be given to Jesse and Erica McCallister for missions to Greece. 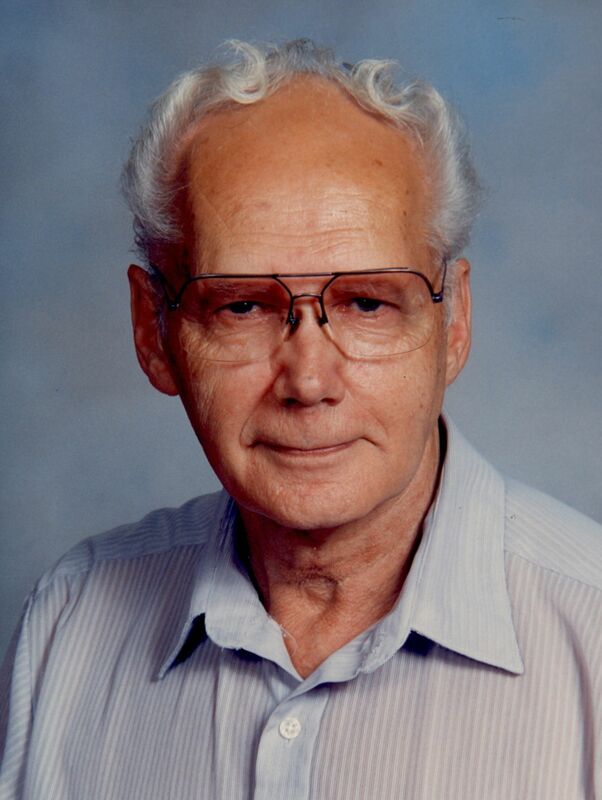 Carl Russell McCallister, age 85, of rural El Dorado Springs, passed away Tuesday, September 18, 2012. He was born January 16, 1927, in Cedar County, Missouri, to Aubrey and Alta (Wallace) McCallister. Carl attended grade school at Hudson Elementary where his parents had also attended. He graduated El Dorado Springs High School in 1945. Growing up Carl worked with his father farming and milking cows. Later, he continued farming doing custom baling and hauling livestock to Springfield and Kansas City. In 1951, Carl started a business in his home buying and selling guns. After 61 years that business continues today as Carl’s Gun Shop in downtown El Dorado Springs. At one time Carl was the Virgil Township tax collector and served on the County Board of Agriculture Conservation. He also served in law enforcement as an El Dorado Springs Auxiliary Police officer, Vernon County special deputy and later was elected sheriff of Vernon County. Carl’s favorite hobbies included gunsmithing and collecting guns. In later years Carl enjoyed teaching young men and women about hunting and firearm safety during the Hunter Education courses for the Missouri Department of Conservation. Carl married Lucille Galloway in 1949 and to this union was born one son, Terry Lee McCallister. In the fall of 2011, Carl put his faith in Jesus Christ and prayed to receive Him as his Lord and Savior. Survivors include his son, Terry McCallister and wife Terri of El Dorado Springs, MO; granddaughter Joy McCallister of Nevada, MO; and grandson Jesse McCallister and wife Erica of Bolivar, MO. Carl also leaves a dear friend, Lucille Arnold of Ft. Scott, KS, as well as other family and friends in the surrounding area. A memorial service was held Sunday, September 23, 2012, at Union Hall Baptist Church with Bro. Jesse McCallister officiating. Honorary pallbearers were Otho Forest, John Detwiler, Ed Morlan, Ed Arbuckle, Larry Flint, Derek Farwell, Chuck Warrick, and Mike Matthews.